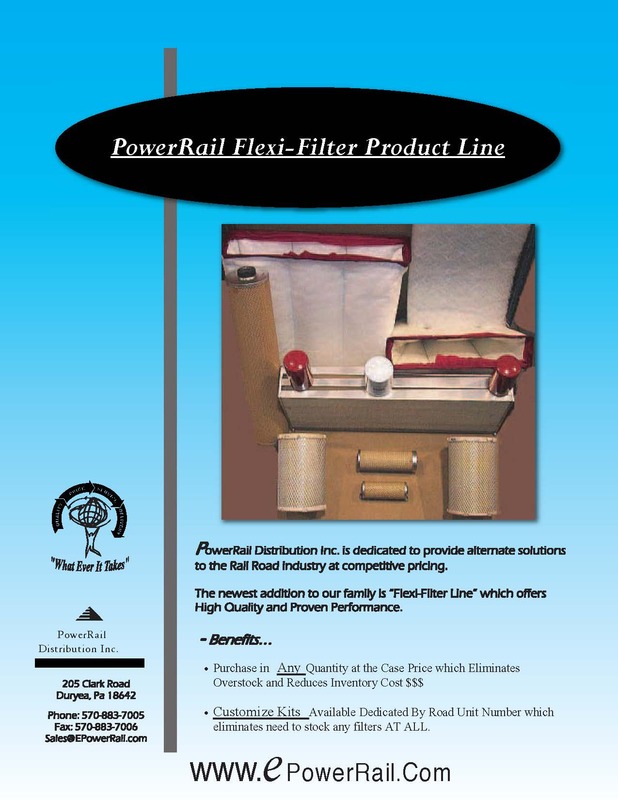 PowerRail, an M-1003 Quality Company offers a complete line of New Filters which meet or exceed OEM specifications. Complete Line of Air, Fuel, and Oil Filters. PowerRail, an M-1003 Quality Company offers a complete line of New Filter Kits which meet or exceed OEM specifications. PowerRail Offers a True Cost Savings by offering Customs Kits dedicated to the Railroad's Road Units. PowerRail Kits will be Custom Assembled and Tagged by the Customers Road Unit Number which makes ease for ordering. Note: The Above Tables Reflect a Sampling Only. Let us Customize the Kit for you.